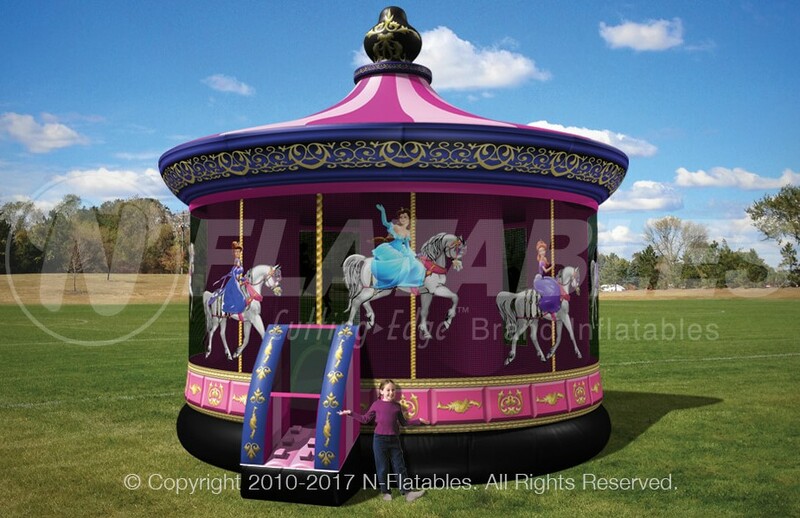 Actual Size: Length 18' Width 15' Height 16"
Make Your Princess Party Stand Out With This Unique Bouncer! 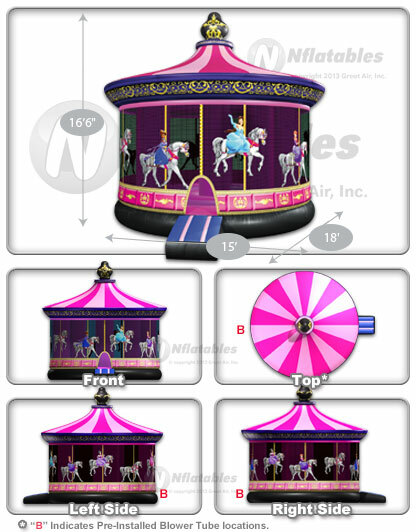 This classic Carousel bouncer has been reinvented with a new Princess theme! This beautiful bounce house features detailed digital printing and a timeless theme that kids will love. 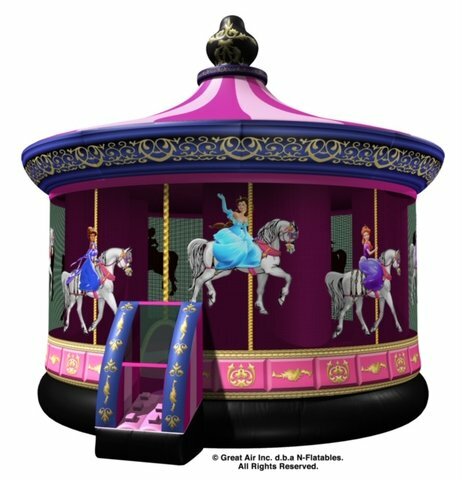 This Princess-themed bouncer is not your run-of-the-mill bounce house, so stand out and wow your guests with this Bouncing Buddies Princess Carousel Bouncer! -Large netted vent windows fir air flow and 360 degree viewing. -Please limit it to 5 to 8 kids in a time in the inflatable. -No jewelry or sharp objects. -Minimum height is 34 inches. -Weight limit is 150 pounds per person.